This was created for another experiment as I wanted to play around with the vibrate function in the Palm Pre and get it to last much longer than a split second. 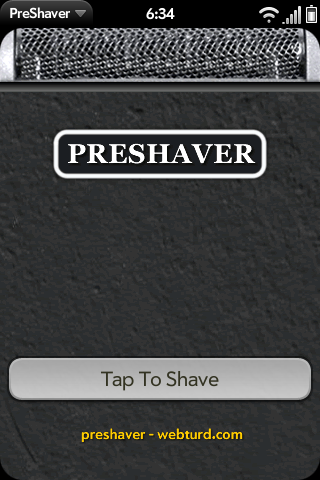 After the button is tapped, the PreShaver will vibrate for 10 seconds and mimic an electric shaver. Experimental versions included a buzzing electric sound but timing and delivery became an issue. Expect updated versions to have this feature dialed in as well as other fun options.